Massage Therapy is one of the most commonly practiced forms of holistic medicine. Massage Therapists heal patients by using their touch to manipulate the muscles and other soft tissues of the body. This therapeutic touch is used to relieve pain, help heal injuries, improve circulation, relieve stress, increase relaxation, and aid with general health and wellness. According to the most recent data published by the National Center for Health Statistics (CDC-NCHS), approximately 7% of the US adult population received a massage treatment in 2012. That’s approximately 15.4 million people! And it only appears to be growing in popularity. As a profession (in the US), Massage Therapy jobs are predicted to increase by 24 percent between 2016 and 2026. While the numbers are impressive, it should not be particularly surprising that massage therapy is a popular practice. Massage Therapy has many health benefits, including improved sleep quality, enhanced relaxation, pain relief, decreased stress and inflammation, decreased blood pressure, improvements in injuries and sports injuries, as well as improved mental health. While it is now a considered its own healing practice, massage is the origin of many medical practices that later arose, such as physical therapy (PT) and chiropractic manipulation. Is this massage therapy, PT, or chiropractic stretching? What we know about massage today may be different from what it started out as, but the basic practices and the techniques involved are very similar, and ultimately they work to improve health, wellness, vitality, and improving the body’s natural functionality through the healing touch of the therapist. Now that you have some of the basics of what massage therapy offers, it is important to have a good understanding of how the practice has evolved over the centuries. Listed below is a list of some of the historical periods, cultures, and figures that have contributed to our modern understanding of massage therapy as a holistic healing practice. 1. Ancient China (2700 B.C.E. ): The earliest date of origin for massage therapy was back in 2700 B.C.E, which was about 4700 years ago. At this date, there was a historical book created involving Chinese medicinal traditions and it was titled “The Yellow Emperor’s Classic Book of Internal Medicine.” This book was not published in English until the mid-1900s, but it is now considered one of the basic books taught in acupuncture school, detailing the practices and techniques that are used in current Oriental Medicine and Massage Therapy. Among these are acupuncture and acupressure, both of which are closely related to each other. Acupuncture involves the use of needles placed at meridian points to promote better health and wellness. Similar to acupuncture, acupressure involves the use of hands, fingers, and sometimes massages tools on precise locations in your body to provide similar health and wellness to your body. The only difference in acupressure is that a practitioner does not use needles, but applies pressure in the same spots where needles would typically go. 2. Ancient Egypt (2500 B.C.E. ): About 200 years later, the reflexology technique was developed by the ancient Egyptians and this was a vital part of some of the largest cultures in ancient history, including ancient Greece and Rome. Imagine a traditional massage therapy technique (which was new at the time) being used to promote the health of some of the largest empires. This underscores the effectiveness of its use back then and it is still around today performing important tasks for some of the most experienced athletes. Consider this the time from when reflexology techniques were created. Reflexology is based on the idea that the body has many reflexes that come from the feet (we know this because of ticklish reflexes) and these reflexes mirror every organ in the body. While the use of reflexology has ancient roots, Western medicine and current healthcare techniques have yet to fully understand everything that reflexology has to offer, which is why research continues to be vital in this area. This form of massage applies pressure to a certain part of the foot, which controls a particular organ in the body. 3. Ayurvedic Medicine (1500 B.C.E. ): Fast forward about a thousand years in time and you will find that massage therapy shifts to the ancient Hindu practice of Ayurveda medicine. Ayurvedic Medicine holds that the mind, body, and spirit are all connected and when one substance is not functioning properly, it negatively affects the others. This symbiotic relationship explains how health, illness, and medicine are viewed and practiced in Ayurvedic Medicine. 4. 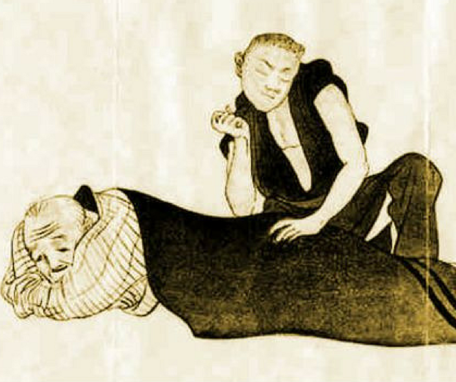 Japanese Massage (1000 B.C.E. ): Around the year 1000 B.C.E., Japanese Buddhist monks, who were training in China, were introduced to Tui Na, which is a massage modality in Traditional Chinese Medicine (TCM). Upon returning to Japan, the monks added their own modifications to Tui Na, which eventually became its own distinct massage modality, known as Anma. During the 1940's, Anma, along with massage techniques from other modalities were codified by Tokujiro Namikoshi into what we now know as Shiatsu. The detailed history behind Shiatsu is very interesting and will be the topic of its own blog post. 5. Ancient Greece (800-700 B.C.E. ): One of the most influential cultures in history were the ancient Greeks. Because the Greeks had a strong sense of a physical culture, it is no surprise that massage was a common practice. Specific techniques included decreasing the “knots” throughout muscle tissue in the body through therapeutic rubbing. This practice is very similar to modern-day techniques employed by Sports Massage Therapists. 6. 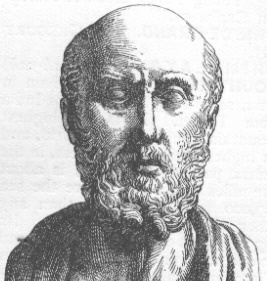 Hippocrates (500 B.C.E.) The fifth century B.C.E. era was vital to the history of medicine, as this was the era of Hippocrates. Hippocrates is considered to be the founder of modern medicine and his legacy continues to this day; the oath that doctors take at graduation was written by him, which is why it is called the Hippocratic Oath. As a medical pioneer, Hippocrates prescribed treatments for injuries, which included friction and rubbing as a form of healing. Within his treatments and prescriptions, Hippocrates promoted overall wellness by encouraging a good diet, exercise, ample sleep, and music. In many ways, his system of healing had more in common with holistic medicine than with conventional medicine. 7. Modern Western Medicine (1800s-Present Day): Modern Massage Therapy was largely developed during the 19th century Per Henril Ling created what we know today as Swedish massage. 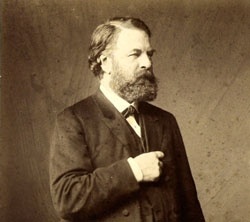 The method created by Dr. Henril was refined by Johan Georg Mezger, who introduced several techniques based on Swedish gymnastics, such as the stroke movements, to the massage modality. While our scientific knowledge has changed over the centuries, massage as an applied healing practice has not changed dramatically. Afterall, the human body has not changed significantly since the ancient Egyptians. Because massage treats the most common kinds of pain with the most natural form of medicine (human touch), it transcends the particulars of human culture and history. So long as people are prone to discomfort and illness, massage will continue to exist as a healing practice. At Acupuncture and Massage College, we teach many different types of massage modalities. However, we specialize in Shiatsu, the Japanese modality that is based on acupressure. To learn more about our massage therapy program and Shiatsu, download the guide below or visit our program page. We are located in Miami, Florida.